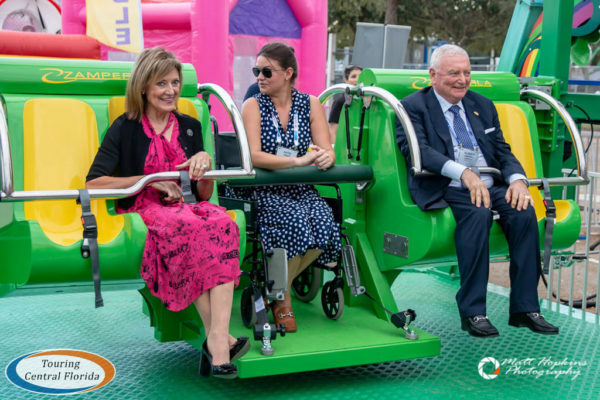 Zamperla, one of the world’s leading amusement ride manufacturers, has donated a new ride to Give Kids The World Village (GKTW), the Central Florida nonprofit that provides cost-free wish trips to critically ill children and their families. 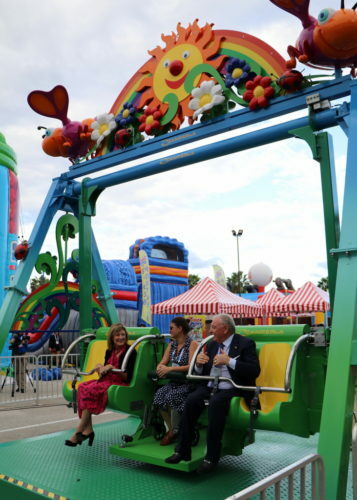 Zamperla presented the swing at IAAPA Attractions Expo in Orlando, Florida. The swing will be installed at GKTW later this month. 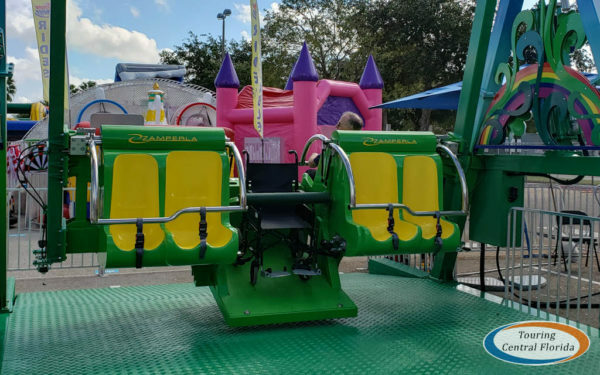 The Happy Swing, the company’s signature kiddie ride, can be enjoyed by both children and their parents, and for children staying at GKTW, it has a special component: The ride is wheelchair accessible. 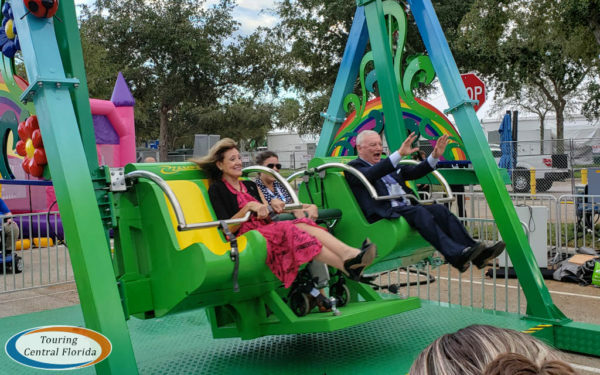 This unique and inclusive ride will ensure children of all abilities will enjoy swinging alongside their family and friends. This is Zamperla’s third ride donation to GKTW. The new swing, along with a train called JJ’s Express and a pedal-powered flyer called Lori’s Magical Flight, provide accessible and magical rides for children at the Village. Zamperla is an Italian design and manufacturing company founded in 1966 by Antonio Zamperla. The company creates family rides, thrill rides and roller coasters for amusement parks worldwide. Give Kids The World Village is an 84-acre, nonprofit resort built exclusively to serve critically-ill children and their families. Children visiting Central Florida on their “wish trips,” stay with their families at Give Kids The World’s storybook Village for week-long, dream vacations. 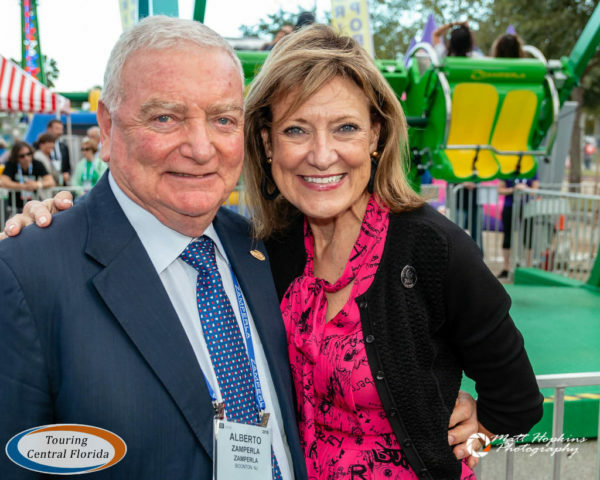 Give Kids The World provides meals, transportation, nightly entertainment, and complimentary passes to Orlando’s world-famous theme parks and other attractions. There is never any charge to visiting families, and no child is ever turned away. Since 1986, Give Kids The World Village has served more than 160,000 children and families from all 50 states and more than 75 countries. GKTW is four-star rated by Charity Navigator, with more than 92 cents of every dollar it spends going to program services.